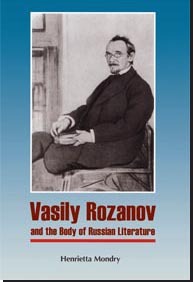 This book is the first interdisciplinary and cross-cultural study of the most original and controversial turn-of-the-century Russian writer and thinker, Vasily Rozanov. Once described as the Russian Freud, Rozanov developed a unique methodology for his writing, a methodology based on the interpretation of cultural history through the lens of sexuality. As such, he can be viewed as a Russian Foucault who wrote his own original history of sexuality in application to the main Russian classical writers of the nineteenth century. The focus of this book is on the constructs of race, ethnicity, gender, and sexuality which Rozanov used to explicate the political, social, and artistic narratives of the “great five” of Russian literature: Alexander Pushkin, Nikolai Gogol, Ivan Turgenev, Fedor Dostoevsky, and Leo Tolstoy. Further, it explores how Rozanov applied the concept of “impure” blood in order to demonize writers and important cultural personalities from the democratic camp, thus setting a trend in Russian culture to fight an ideological enemy by exposing his or her often invented “racial” alterity. Forbidden for publication in the Soviet Union because of his political views, Rozanov enjoys an immense popularity in contemporary Russia, where his paradoxical and controversial statements have been incorporated into the propaganda employed by Russian nationalists of various denominations. In a rigorous and yet engaging manner, Mondry offers the most thought-provoking interpretation of this influential Russian thinker’s views and exposes the manipulation of his antisemitic and right-wing opinions by members of contemporary Russian political and cultural elites. About the author: Henrietta Mondry is Professor in Russian at the University of Canterbury, New Zealand and Fellow of the New Zealand Royal Society. Her latest books include Pure, Strong and Sexless: The Peasant Woman's Body and Gleb Uspensky (2006) and Exemplary Bodies: Constructing the Jew in Russian Culture, since the 1880s (2009). This book is recommended for library collections at four-year colleges and research universities.